The resume is the first meeting between you and your prospective employer and it speaks volume about you. So how you want to present yourself to the employer, remember first impressions are always lasting. Do you want to look neat, precise, organized,and interesting or unorganized and boring?There are thousands of applications for a job post and it is impossible to interview each and every applicant, hence the employers use the elimination process. And that’s where your resume work for you, therefore polish your resume and turn it into a brand. Resumes tell a great deal about you. It speaks about you, who are you, your education, your skills and experience, where you are and where you are headed, the story should be crisp and intriguing to convince the employer that your resume deserves attention before it is trashed. It should shout that you are the one perfect to work with their team. With so much advance in the technology, the resume has also undergone a technological revamp. Yes, these are not just the days of plain text resumes and cover letters. To prove your worth and grow an extra mile for your dream job, video resumes are fast taking over. Video resume, the latest trend in the employment industry is fast growing and definitely here to stay. A video resume is a unique format to express your capabilities, aptitude, and personality which is not possible with a text resume. It is the new age technique that gives a face to your otherwise mundane text resume. It is a short 60-90 seconds video that lets you go beyond traditional methods and increase your chances of grabbing dream job. Video resumes are unique that helps you stand apart in the fiercely competitive world. They take you one step closer to your destination. A great first impression, your skills, personality, and talents are visible immediately. Your prospective employer gets to see and listen who you are, how confident you are and how job ready you are. While it is a video resume or a text resume, there are some dos and don’ts. Hence it is always a good idea to take professional help for the perfect resume. 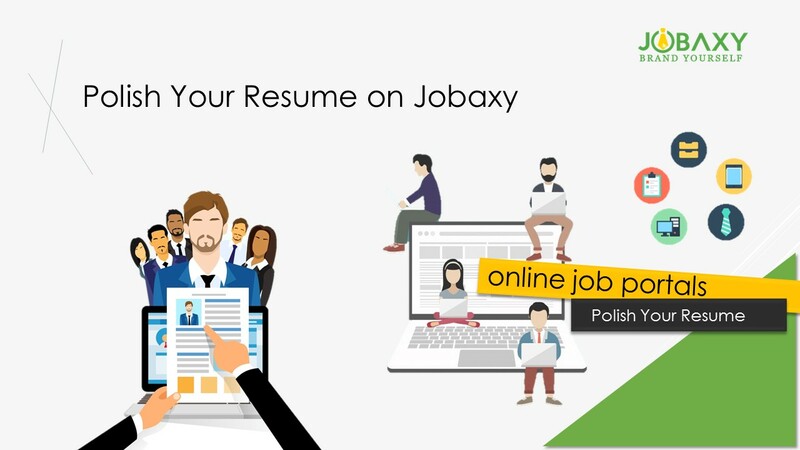 Polish your resume on Jobaxy before it is too late as even a small mistake can cost you your job. Your resume is your brand. So no compromises. We at Jobaxy help you craft the best resume. Jobaxy is an online job portal in Philippines that advocates the unique audio-video resumes. We have thousands of jobs listed in our job directory. Our team of experts will guide you through each and every step of job hunting. Just visit us once and witness your successful journey.